Tony Carrillo, the comedic genius behind the seriously funny and often demented comic strip F Minus can find humor in almost everything. His strips are often obscure, sometimes whimsical, occasionally biting, but they are always witty. 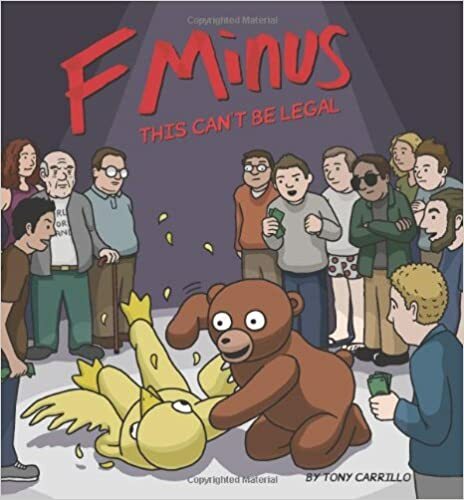 F Minus originated while Tony Carrillo was a sophomore at Arizona State University where it was voted best college strip in an online mtvU strip contest, where he was awarded a development deal with United Features Syndicate. It first became syndicated to 75 newspapers in the United States in 2006. While Tony Carrillo prefers to keep his personal life private, he considers himself to be a happy and lucky man. Tony Carrillo, the brilliant mind, and artist behind F Minus connected with Michelle Tompkins for TheCelebrityCafe.com about his early days as a cartoonist, his comedic inspiration, what he loves about cartooning, his thoughts on the future of comic strips, advice for aspiring cartoonists and more. Tony Carrillo: I grew up in Tempe, Arizona. Michelle Tompkins: Where do you live now? Michelle Tompkins: Please tell me about your background and educational experience? Tony Carrillo: I have a bachelor’s degree from the Herberger Institute for Design and the Arts at Arizona State University with a specialization in drawing. Michelle Tompkins: Which jobs have you had in your life? Tony Carrillo: My first job was at the camel rides at the zoo. It was my job to break the news to the men built like linebackers that they were too large to ride the camel. I was sixteen, and not built like a linebacker. My other responsibility was shoveling camel dung. That job taught me that I needed a different job. From there I worked at an insurance office, a pizza place, an art supply store, that pizza place again and the airport before becoming a cartoonist. I’m pretty sure all my former places of employment (and a few coworkers) have made it into the comic in one form or another. This is why I have to continue cartooning forever. My resume is nonsense. Michelle Tompkins: When did you start drawing? Tony Carrillo: I’ve been drawing since I could hold a crayon. My mom is an artist and she encouraged me from a young age. I gladly accepted the identity of “the kid who can draw” in school. It was that, or “the kid who doesn’t swing his arms enough when he walks”. Michelle Tompkins: Why do you like creating comic strips? Tony Carrillo: I’ve always liked trying to make people laugh, but I am no extrovert. I was never going to be the center of attention at parties, and stand up seems like a nightmare, so for someone like me, comics are a great way to get my ideas out to the world from the seclusion of my hermit house. I’ve been trying to get my friends to laugh with my drawings since first grade. Michelle Tompkins: What's the best part about creating comic strips? The worst? Tony Carrillo: The best thing for sure is when I see one of my comics cut out and taped to the counter of a coffee shop or someone’s refrigerator. An online post is nice, of course, but there’s something about the extra effort required to use scissors and tape that really means something to me. The worst part of getting your dream job is you’re not allowed to complain about it. Michelle Tompkins: Do you think comic strips are in danger of extinction? Tony Carrillo: I don’t comics are going extinct, I think they’re evolving. Every new app and device provides a new way to produce comics and get an audience. Advances in digital drawing are making it so easy to publish. I’m sure most of the recent comic mutations will lose to natural selection, but some version will survive. Michelle Tompkins: Why do you think comic strips are important? Tony Carrillo: For many, comic strips are an introduction to not only reading but comedy as well. I used to read my dad’s Far Side and Calvin and Hobbes and Doonesbury books long before I understood all the jokes. Michelle Tompkins: How did you come up with F Minus? 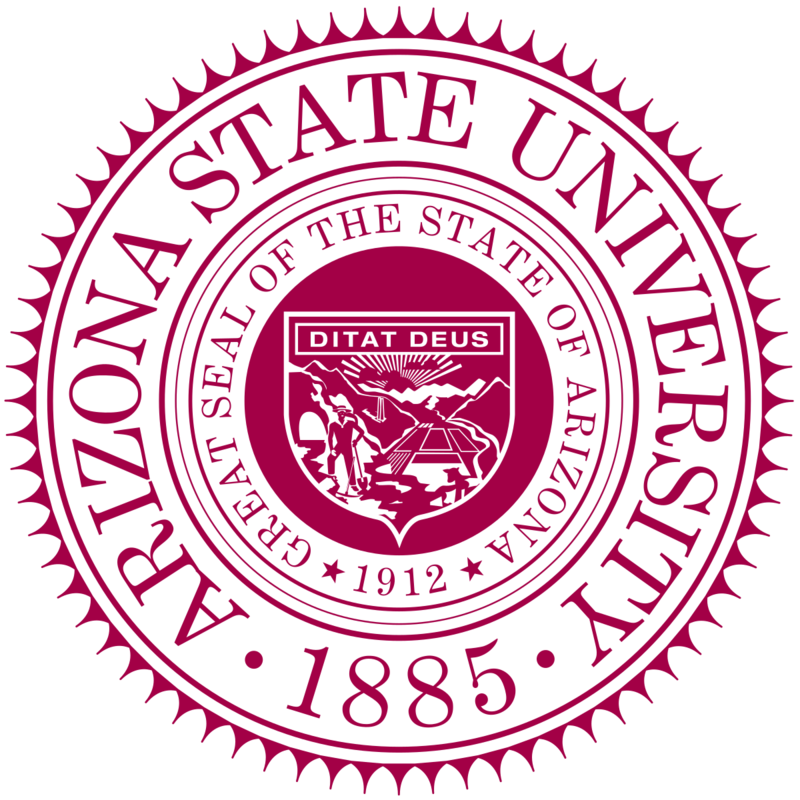 Tony Carrillo: I was at Arizona State in their art program when I saw a notice in the school paper that they were looking for a new cartoonist. I whipped up three comics and sent it with an application and got hired. I’ve stuck pretty close to the same style ever since. I knew I wanted a single panel comic with the freedom of no regular characters or storyline. I later realized this presents its own challenges. Michelle Tompkins: How would you describe F Minus to someone who hasn’t seen it? Tony Carrillo: F Minus is a gag a day comic. There are no characters to know or storylines to follow. It’s just my thought of the day, in cartoon form. Sometimes it’s funny, sometimes it’s just weird and sometimes it is something I erroneously believe is a profound concept. Michelle Tompkins: Stupidity is a running theme. That is what makes it so funny. How would you describe your sense of humor? Wickedly wonderful is what comes to my mind. Michelle Tompkins: Who are some comedians you admire? Tony Carrillo: I love the surreal, and deceptively simple humor of Jack Handey, Mitch Hedberg, and Steven Wright. Michelle Tompkins: Who is your audience? Tony Carrillo: In my experience, F Minus fans are almost always intelligent, kind, wonderful people who are under the impression they are flawed in various ways, but really they are great just as they are. Michelle Tompkins: What does your work week look like? What is your process? Tony Carrillo: I try to get all my ideas done at the beginning of the week. I have a variety of methods for coming up with new ideas that I have developed over the years. Then I sketch out each idea on my iPad. I finish them using Photoshop with a custom font made from my handwriting because lettering is for suckers. Michele Tompkins: What are some other strips that you particularly admire? Tony Carrillo: I really like the cartoons in the New Yorker, particularly those by Matt Diffee, Lars Kenseth and P.C. Vey. Michelle Tompkins: What is your estimated audience? Tony Carrillo: That’s almost impossible to estimate at this point because it includes a daily appearance in newspapers around the world, online news sites and my page on GoComics.com. So let’s just say billions. Michelle Tompkins: What do fans typically ask you? Michelle Tompkins: Do you do any other kind of art or graphic design or other comics? Tony Carrillo: I used to do a wide variety of other creative projects, including sculpture, charcoal portraits, and writing. However, since the arrival of my kids, I’m lucky to still have time for F Minus. Occasionally I’ll do some whittling, but it’s pretty terrible. Michelle Tompkins: Have you won any awards? Tony Carrillo: My career kicked off when F Minus won the MTVu Strips contest just as I finished college. The prize was a development deal with a syndicate, which led to publication. Since then I have been nominated for three National Cartoonist Society division awards, but alas, I have yet to take home the gold. I think it’s gold, anyway. I’ve actually never seen one. Michelle Tompkins: How does geography factor into your work? Tony Carrillo: A lot of my hometown haunts make appearances in the comic, like Gold Bar Espresso and Nello’s Pizza. But now that I live in California, I include a few local places I enjoy, in a shameless attempt at a discount. Gold Bar Espresso in Tempe, Arizona. Michelle Tompkins: How do use time in your work? How do character age? Tony Carrillo: Time is unreliable in the F Minus universe. Some characters will reappear having aged, but some never seem to. Sometimes it will jump back to dinosaur times, or jump ahead to the near future. The only parts of F Minus that keep up with our current flow of time are the phones. Michelle Tompkins: How do you come up with your stories? How do you conquer writer's block? Tony Carrillo: When you have a weekly deadline, you don’t have time for writer’s block. That’s not to say it’s easy to come up with new ideas, but ultimately the only cure is the deadline. Michelle Tompkins: Do you go to Comic Cons? Tony Carrillo: Somehow, I never have. I do intend to someday, once they’re not cool anymore. Michelle Tompkins: How long do you plan to keep the strips coming? Would you ever pass the reigns off to someone else? Tony Carrillo: I suppose I’ll keep doing it as long as it’s fun, and somehow after twelve years, it still is. I won’t be passing it off though. The curse dies with me. Michelle Tompkins: What kind of software or equipment do you use to make your strips? Michelle Tompkins: Do you keep a notepad nearby for ideas? Tony Carrillo: I used to keep a small notebook with me but the notes app on my phone now holds any ideas I get on the run. Michelle Tompkins: What do you think of the future of comic strips? Tony Carrillo: As fast as technology is changing, it’s hard to predict where comics are going, but there will always be comics in one way or another. Michelle Tompkins: Where can people find your work? Michelle Tompkins: How many books have you published? Where can people get them? Michelle Tompkins: Is someone wanted to start following your work from the beginning, how would they do that? Tony Carrillo: F Minus on GoComics.com allows you to read F Minus from the beginning. Michelle Tompkins: Is there any charity work you would like to mention? Michelle Tompkins: What do you like to do for fun? Tony Carrillo: These days my favorite thing to do is absolutely nothing. It’s harder than it sounds, but worth it. Michelle Tompkins: What advice do you have for aspiring cartoonists? Tony Carrillo: One piece of advice I would give to aspiring cartoonists is don't be afraid to show your work, but be prepared for negative responses. When I started cartooning, comment sections didn't really exist beyond the editorial page of the newspaper. Now it's way too easy for people to unload their opinions all over everything and criticizing has become our national pastime. None of that matters, though. All you need to care about are the people who like your work. They may be quieter, but as long as you keep providing them with new material, you'll be set. Tony Carrillo and F Minus can be found at GoComics here. All F Minus comic strips are published with the permission of the author. Copyright 2018 Tony Carrillo, distributed by Andrews McMeel Syndication for UFS.